How To Choose A Sleeping Bag. In purchasing equipment for the outdoors, I always use the same thought process. How often am I going to upgrade my equipment based on the new radical improvements that the manufacturer will come out with? How long before my existing equipment will become obsolete and I will have to replace it? How long will it be before I have a disadvantage with my existing equipment? When the time came to choose a sleeping bag, I decided that I would choose the best sleeping bag that I could afford based on the use of the sleeping bag. You can have the best clothes, the best tent, the best food, the best backpack, but if your sleeping bag is not the right one, your whole outdoor experience will be ruined. There are many sleeping bag features to consider when choosing a sleeping bag and all the options available are important. What is the best sleeping bag for you? What seasons will you be camping? Each season (4-Seasons, 3-Seasons, 1-Season) has a temperature related to that season. You can't choose a 4-Season sleeping bag to be effective during the summer, too. Choose a temperate rating for the sleeping bag based on the conditions you plan to camp in most often. A bag's temperature rating indicates the lowest temperature at which an occupant would be comfortable. But what is comfortable for one sleeper may not be for another. There is no industry standard for temperature ratings and they vary from manufacturer to manufacturer. Every temperature rating from a manufacturer assumes that a ground pad will be used with the sleeping bag. If you tend to be cold at night, you might need a lower rated sleeping bag. Select a 20 degree sleeping bag for your 3-Season experience, Zero (0) degree rating for cold weather/winter experience and minus 15-30 degrees for a winter experience. What insulation do you prefer (down or synthetic)? Which insulation is the warmest and which insulation is the best choice for you is for you to decide. Synthetic has recently approached most of the features down has, but they have one distinct advantage. They don't absorb moisture and so they don't lose the insulation factor when down becomes wet. Synthetic-filled bags cost less and are great for people who are allergic to down. For backpackers, synthetic bags weigh a little more and usually take up more space in your pack. What shape sleeping bag do you prefer? There are a few shapes to consider - Mummy, Rectangular, Semi-Rectangular. Mummy bags are the warmest, but they are the most confining sleeping bag. The mummy bag also has a hood to enclose your head. Rectangular are a lot more roomy and more comfortable. Two rectangular bags can also be zippered together to form a larger sleeping back for 2 people. 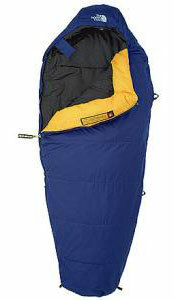 Semi-Rectangular sleeping bags are warmer than the Rectangular and have more room than the Mummy sleeping bag. So it is a compromise between the 3 bags. There are also extra long sizes for people that are taller. Do you need an outside shell fabric that resists moisture and water? Are you going to be in places that need the extra protection? Don't forget to learn how to maintain your sleeping bag correctly because incorrect methods might damage your sleeping bag and choose a sleeping bag wisely.